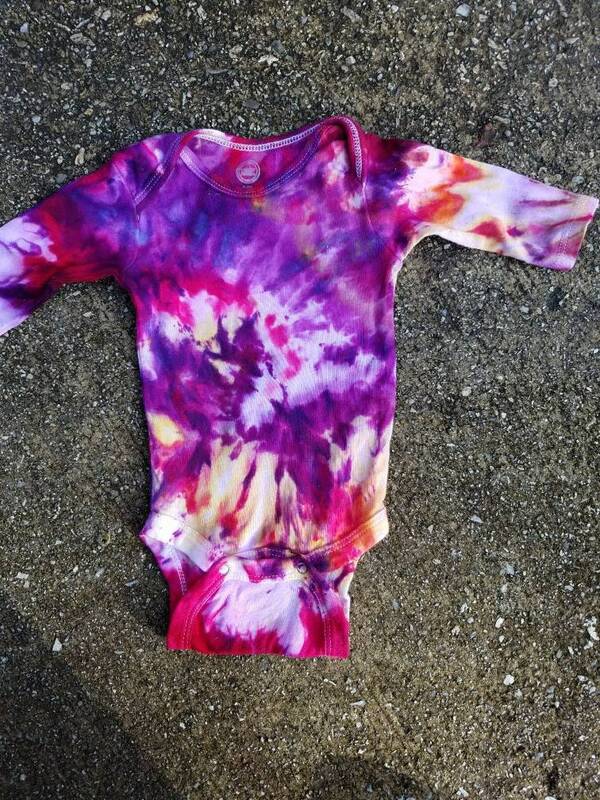 One of a kind, hand dyed, tie dyed baby bodysuit. Bodysuit is "Wonder Nation" brand. The great thing about tie dye and babies is that it masks any stains. 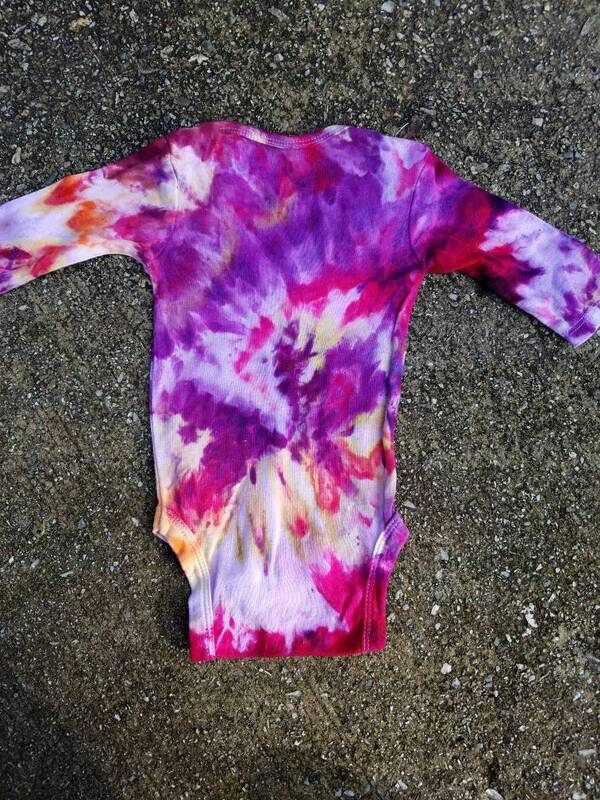 I only use fiber reactive dyes. These dyes bond chemically with the fibers of the fabric and not just the surface preventing running and fading of the dyes. Machine wash and dry with regular detergent. For best results avoid fabric softener.